BOSTON, Massachusetts, USA -- March 23, 2010 -- The Free Software Foundation (FSF) announced the winners of the annual free software awards at a ceremony on Saturday March 20, held during the LibrePlanet conference at Harvard Science Center in Cambridge, MA. The award for the Advancement of Free Software was won by John Gilmore. The award for Project of Social Benefit was won by the Internet Archive. The awards were presented by FSF president and founder Richard M. Stallman. Brewster Kahle co-founder and chairman of the Internet Archive was at the ceremony to collect the award and spoke about the work of his organization, "We are trying to follow in the footsteps of the free software movement and apply these ideas to the cultural materials layer, building organizations that are founded on these principles." John Gilmore who had earlier given a presentation at the conference on the future goals of the free software movement, said on receiving the award, "Free software has been very good to me, and I'm glad that I have been good to it." 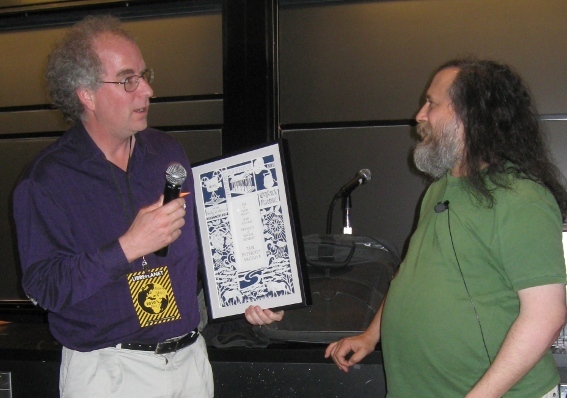 The awards committee recognized Gilmore's many contributions and long term commitment to the free software movement. As one of the founders of Cygnus Solutions, Gilmore gave free software a place in the business world long before GNU/Linux became popular. He is a well-known free software and freedom activist. He is a co-founder of the EFF, the alt newsgroup, and a major promoter of cryptography. He has written or contributed to free software including the projects pdtar (which became GNU Tar), GNU UUCP, GNU GDB and Kerberos. 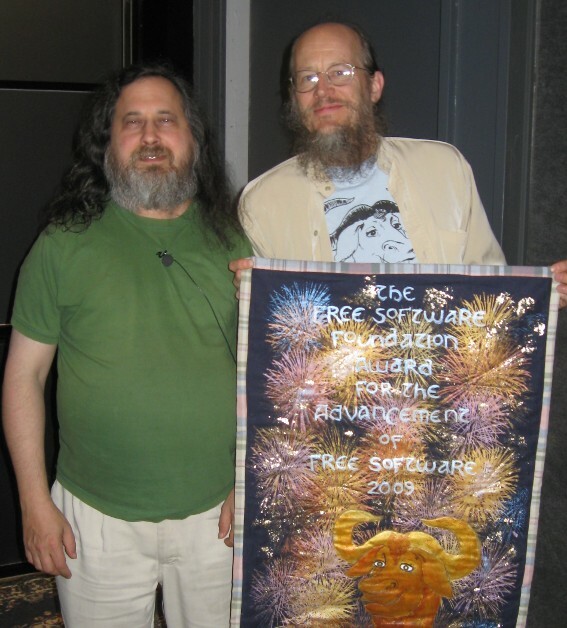 John has also promoted free software through his philanthropy, funding many free software projects including, GNU Radio and GNU Gnash and he remains active in advancing the cause of computer user freedom. The Internet Archive is a non-profit founded to build a free and open Internet library. They provide 1.8 million free public domain and out of print books in collaboration with libraries all over the world. They have collected more than 500,000 audio items, including over 70,000 live concert recordings made freely available in lossless formats by thousands of volunteers with the permission of the artists. More than 200,000 video items are freely downloadable in a variety of formats, including the free software video format Ogg Theora. They have been archiving the Web at large since 1996, making over 150 billion copies of web pages available to the public through the Wayback Machine. The Internet Archive has written free software of their own, including Heretrix, their web crawler (crawler.archive.org), and a free software version of the Wayback Machine software, in addition to contributing patches to many other free software projects <http://www.archive.org>. This year's award committee was chaired by Suresh Ramasubramanian and included Peter H. Salus, Wietse Venema, Raj Mathur, Hong Feng, Andrew Tridgell, Jonas Oberg, Verner Vinge, Richard Stallman, Fernanda G. Weiden and Harald Welte.